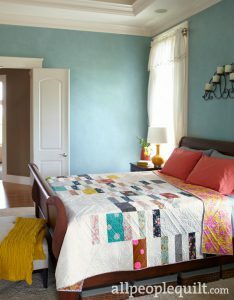 My friend, Victoria, has a quilt in the new issue of American Patchwork & Quilting! 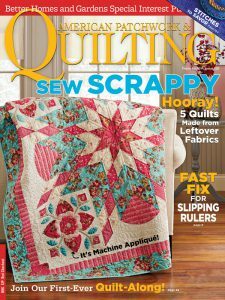 Victoria’s quilt is called “Pretty Graphic”, and the pattern is in the magazine. It just so happens that this is a quilt Victoria let me quilt for her, and I have to say, it’s one of my favorites I’ve ever done so far! 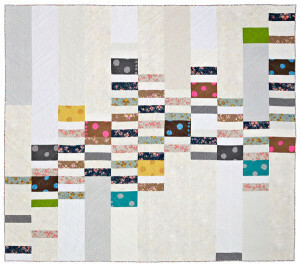 I love this quilt, and it was very difficult to send it back to her. The backing (as all Victoria’s backings are) is fabulously wonderful! I have a serious crush on pink and yellow used together anyway. And go visit Victoria’s post about her quilt as well, by clicking HERE. 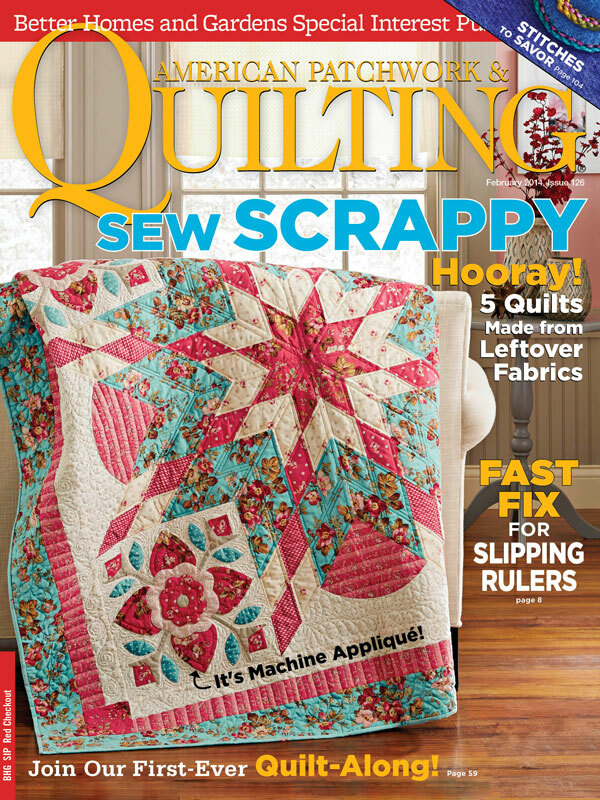 *Photos used with permission from American Patchwork & Quilting® magazine. ©2013 Meredith Corporation. All rights reserved. The color option shown for Victoria’s quilt looks like a theme you might have thought up. I took a look at the blog and got to see the backing. It is wonderful………and I love that she did it with Japanese fabrics. I may have to do this one when I get the magazine.